and bought one soon after. I became a huge fan of being able to quckly brew a single cup of coffee. I also really enjoyed my Senseo, but alas the unit died on me recently and I was prepared to replace it but had been hearing buzz about the Keurig Coffee Brewing System and decided to do a little research. , came with a ton of sample K Cups (the single serving cups used) and even included an adapter to use your own coffee as well. I figured I had to try it and snapped it up. Overall the system is somewhat similar to the Senseo but there are a few noticeable differences. For one this unit is built much better and feels sturdy. 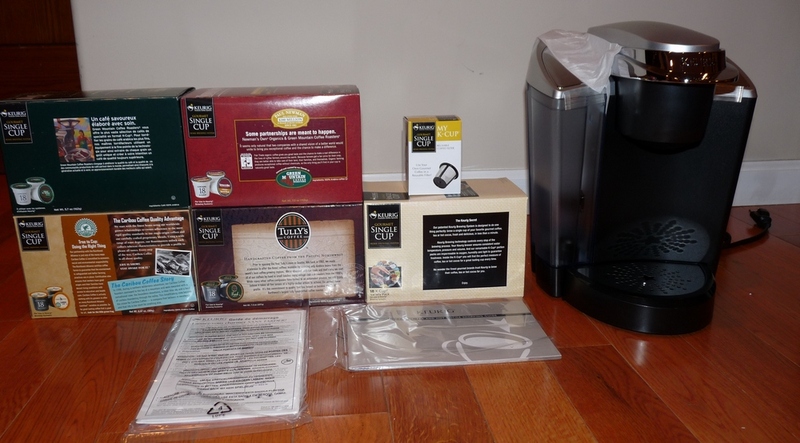 The K cup system is also a lot cleaner than using the exposed coffee pods. No muss or fuss having to clean parts after a brew. Brew time appears to be about the same. 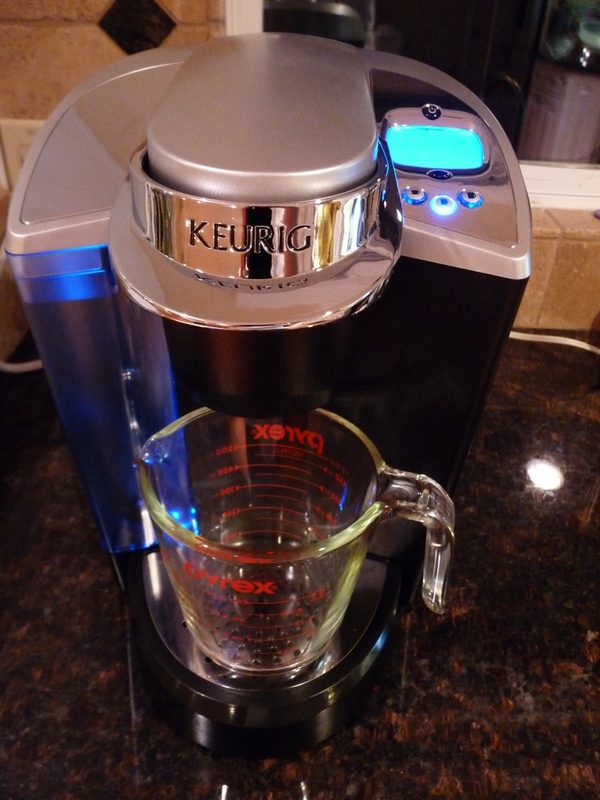 The Keurig does have 3 cup size settings (small, medium, large). You can really only use the first two settings with standard K cups, I tried the large but the coffee tasted to weak for my taste. 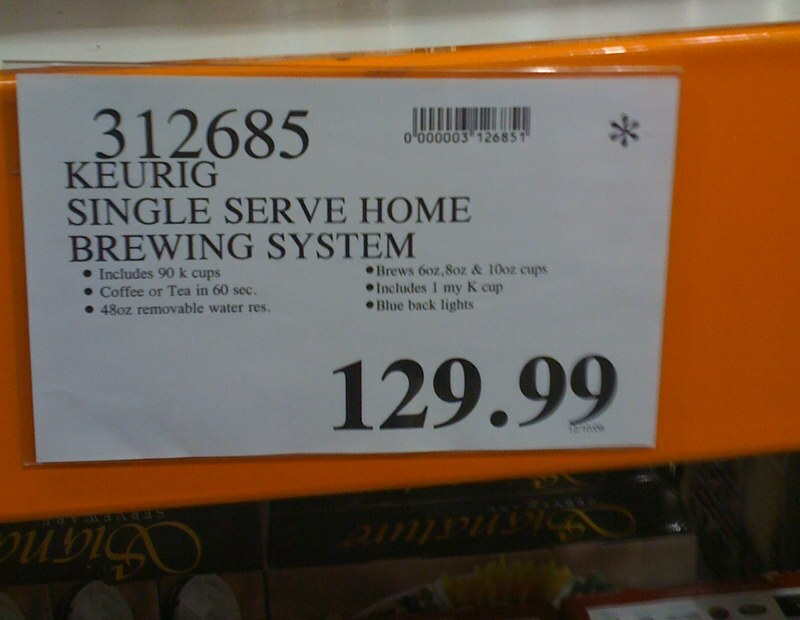 The large option is nice if you brew your own with the adapter where you can control the strength. brew the best. It also came with a selection of Teas as well as hot chocolate. 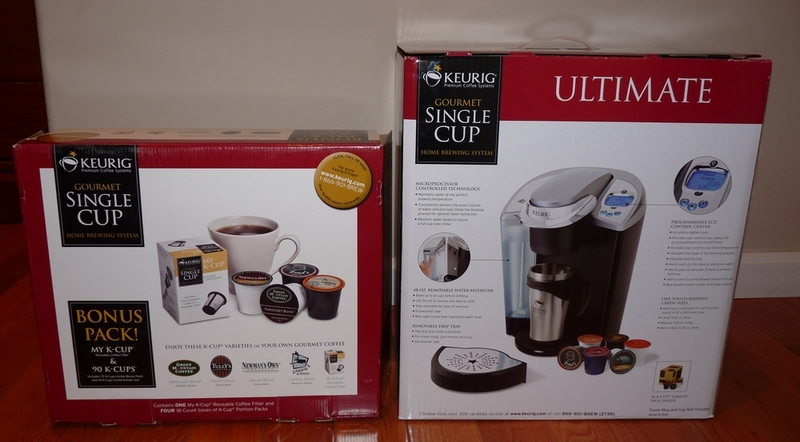 There seems to be huge support from coffee makers for manufacturing K cups. So basically it has great support in the market and seems to be sold and stocked in many outlets now. I do admit that I miss the forthy crema that the Senseo used to generate but I’m willing to trade it for the better tasting coffee the Keurig makes. 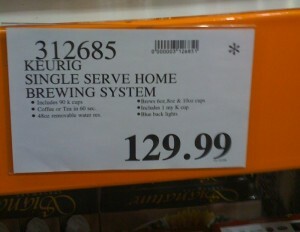 If you are in the market for a single cup brewing system you should definitely take a look at the Keurig. Overall I’m very happy with it. they also offer smaller models than the one I got. We purchased the Keurig mini coffee maker, and are trying the cups that were included with the pot, so far they are all too strong for my husband, I am all set with the Hazelnut though, could anyone tell us which cup would be the mildest so we can buy them for him? Thanks most of this post. It it very beneficial for me. I was skeptical at first when I bought the mini Keurig – how could coffee taste like good, real coffee from one of those little cups that who knows how long it's been sitting around? The first cup I made confirmed my fears – it tasted like lukewarm coffee. It made that first cup in less than a minute and a half, so I wondered why it didn't take closer to the three minutes they advertise. So I figured out the problem might have been that I put semi-warm water in the machine, and the sensors misread the water temperature. Stay with me…! For my next cup I decided to test my theory and filled up the reservoir with cold filtered water from the fridge…and wouldn't you know it, the coffee was hot! Not overly, undrinkable hot, (it only has a 700 watt system after all) but the perfect drinkable, tasty, flavourful cup of coffee! I've continued to make the perfect coffee every time since – I even learned to enjoy the flavour so much I stopped adding milk, adding just a drop of honey for a sweetener. I highly recommend the mini Keurig for a fast, convenient, great cup of coffee. can you please help me figure out how to preset the B70? I set it so it turns on at 5am, but does this mean I have to put the cup in and close the handle the night before?